Originally from Moose Jaw, Sask., Ben Coakwell grew up surrounded by organized sport. He spent a majority of his youth playing hockey and lacrosse competitively. It wasn’t until Grade 12 that he began playing football for Central Collegiate. Ben attended the University of Saskatchewan to play football for the Huskies on an athletic bursary provided by the David Dube Foundation award. He led the team in scoring and rushing in both the 2010 and 2011 season. He also competed for the Huskies Track and Field team as a 60 and 200 metre sprinter. Ben was known for his size and speed in the football world, thus helping him being discovered by Bobsleigh Canada Skeleton. He attended a blue chip camp in early March 2012 and has pushed his way onto the National Team. In his first year on the World Cup squad, Ben was part of Chris Spring’s crew that won their first-ever medal on the elite circuit when they finished third in Whistler. Ben made his Olympic debut in 2014 where he was part of Justin Kripps’ four-man team. Team Kripps captured another bronze in the four-man in 2016 in Lake Placid, along with a silver in Park City in 2017 on the road to his second Olympic experience. 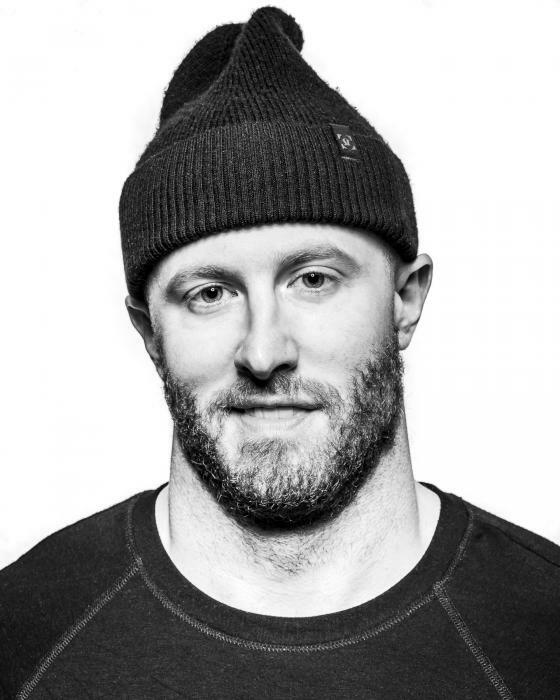 He was part of Nick Poloniato’s 12th-place four-man team in PyeongChang, Korea. Ben enjoys painting abstract and watching movies. He spends time hanging with his friends and likes to stay busy. He believes in hard work and discipline.